Welcome to a casual look at some of the subtle devices picture book authors and illustrators use to give readers a magical reading experience. This comprises various observations I’ve made over the years, so there is no central thesis here. There is also no central theme to the books I’m using as examples. I’ve got peerless classics, forgotten charmers, contemporary blockbusters. I’ve got nonfiction and fiction. I’ve got horizontal and vertical. Let’s begin with a dance. 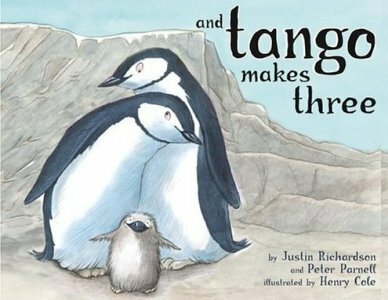 And Tango Makes Three tells a lovely story in and of itself, but also has one of the most important messages of any picture book I know; further, it subtly delivers that message in a tone that is affectionate but never cloying. However, nearly every scene takes place in the same setting…which consists mostly of rocks and water…and features mostly penguins…which all look alike. 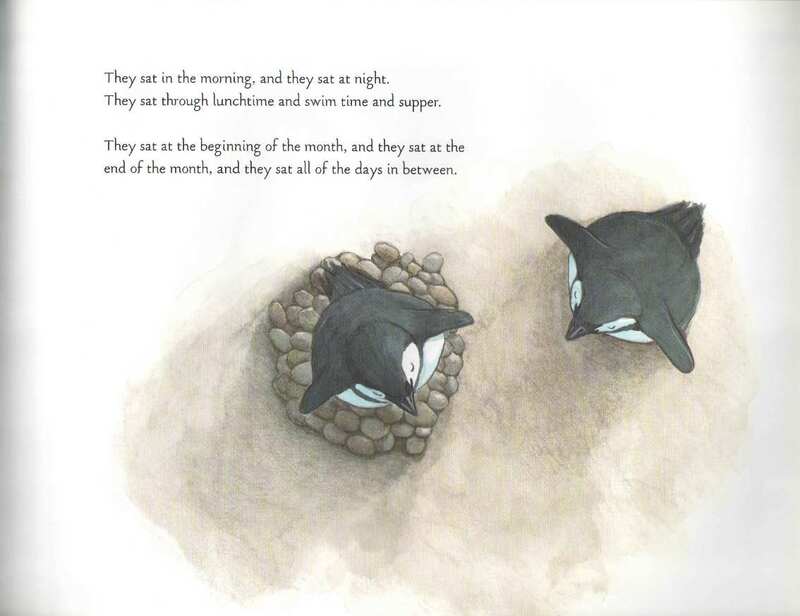 Imagine the challenge this presented illustrator Henry Cole: how to diversify the visuals. A bird's-eye view of birds...now that's inventive and fun.